Hellboy creator Mike Mignola and Bill Wray (Ren and Stimpy) combine their talents to bring us the outrageous adventures of Hellboy, Jr. and his little friends. 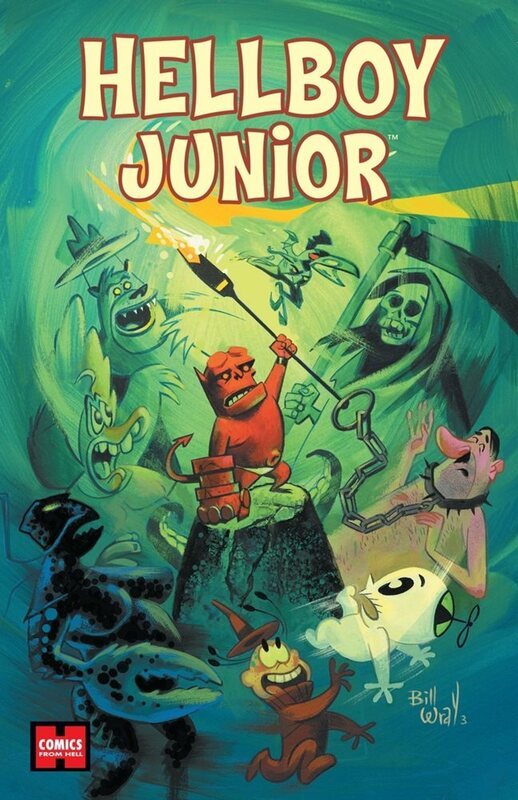 This volume includes stories of Wheezy the Sick Little Witch, the Ginger Beef Boy, Somnambo the Sleeping Giant, The Wolvertons, Sparky Bear and Huge Retarded Duck, plus a brand new Hellboy, Jr. story not in the original series. Mignola and Wray are joined by the diverse talents of Dave Cooper (Futurama), Stephen DeStefano (Ren and Stimpy), Pat McEown (Grendel), Hilary Barta, Glenn Barr, and Kevin Nowlan.